2019 Jeep Compass Review | Specs & Features | Gillette WY " "
What’s the Price for the 2019 Jeep Compass? How Many MPG Does the 2019 Jeep Compass Get? What’s New for the 2019 Jeep Compass? Jeep has worked hard to find a spot in the crossover SUV market for their 2019 Compass. It is a vehicle that is slightly bigger than the Renegade, but the Compass has a much more compact design than the Cherokee. The practical nature of this vehicle ensures that the driver and all passengers will be comfortable during the ride. This is a vehicle that is safe. It handles the road well in a wide variety of conditions. The exterior is modeled off of the Grand Cherokee. It has some softer lines, making it a more luxurious option if you are in the market for a new vehicle. You’ll love some of the unique additions like a two-tone roof and seven-slotted front grille. Let’s take a closer look at the 2019 Jeep Compass. This year, you get plenty of power under the hood of the Compass. A 2.4-liter, inline-4 engine comes equipped with a nine-speed automatic transmission. You can opt for the 6-speed if you would like to add that to your front-wheel drive package. You get an impressive 180 horsepower from the 2.4-liter engine. The Sport, Latitude and Limited trim levels all have the options for front-wheel drive. On the interior of the vehicle, you can enjoy a 7.0-inch touchscreen infotainment system. You can use this with Apple CarPlay technology or Android Auto. Bluetooth connectivity is also available, allowing you to program your vehicle just the way you would like it. Two USB ports, cloth interior, and standard 16-inch wheels are all wonderful inclusions this year. This year brings about some new updates as well. You can opt for heated seats, heated steering wheel, leather interior, and an 8.4-inch touchscreen infotainment system. These features are included in the High Altitude and Upland trim levels. The interior of the 2019 Jeep Compass is impressive. You can fit four people comfortably on the inside. You could try for five if you have some smaller passengers in the back seat. The seats are designed with comfort in mind. The driver’s seat is height-adjustable and you can upgrade to power adjusting if you would like. Legroom sits at 38.3 inches with lots of headroom. An optional sunroof helps bring some natural light to the interior. You’ll enjoy the view from up above whether you are looking up at the sunny blue sky, or you are looking up at a beautiful full moon. Twenty-seven cubic feet of cargo allows you to tote around anything that you need to bring on the road with you for your next adventure. This is a vehicle to consider. 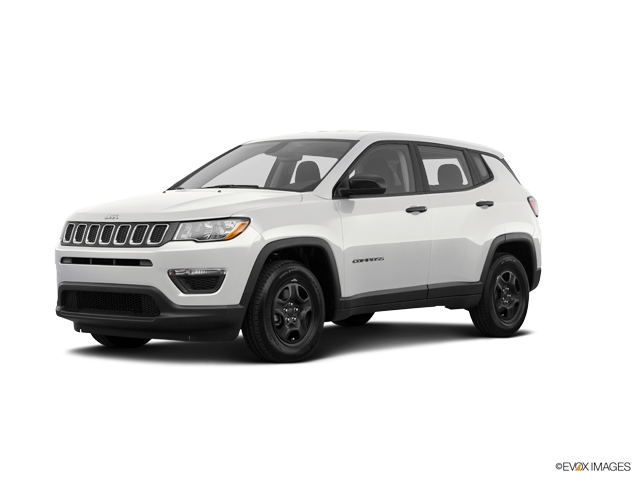 If you happen to be in the market for a new vehicle, stop by White’s Energy Motors to find out more about the 2019 Jeep Compass. This is an incredibly practical and affordable vehicle that is the perfect investment for you and your family. You can expect to have this vehicle in your life for a number of years with minimal issues. A great manufacturer’s warranty is included. We’re confident that you won’t need to utilize it much. This is a simple vehicle to maintain and its reliable. Stop by White’s Energy Motors today to find out more about the 2019 Compass.